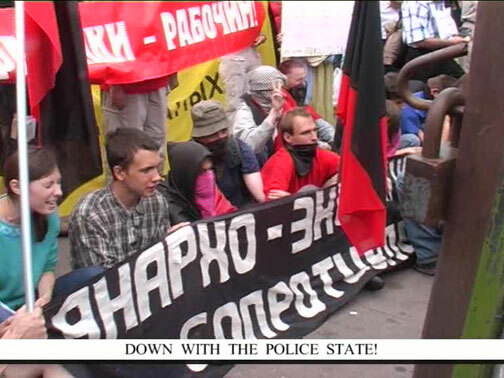 »On the Question of the Political Exhibition«, 2005 by Dmitry Vilensky (Still from Protest Match video, 2006). 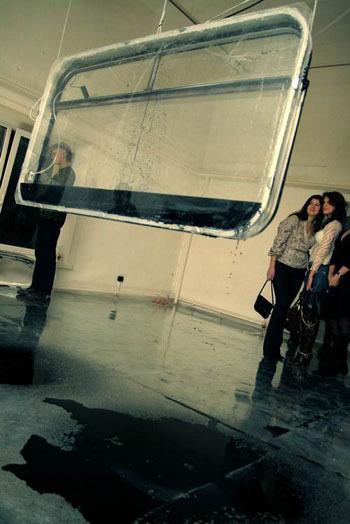 “Lie detector” (camera,video system,glove,sensors,computer) – this performance measured the degree of sincerity of feelings expressed by participants (artists or visitors) about the works exhibited. Each response was analyzed by a system of sensors connected to a computer. A “beep” rang out if the participant was faking his opinion. By Olga Kisseleva.